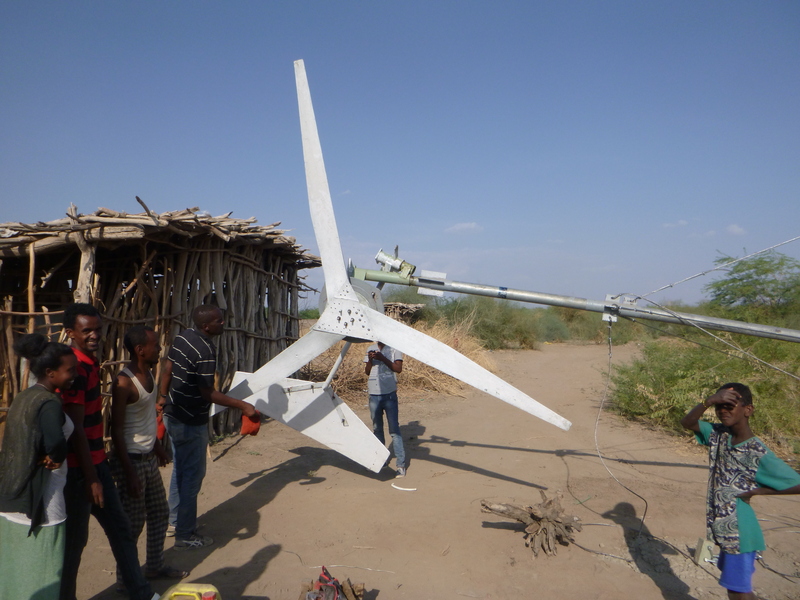 During 2015, V3 power (UK), Nea Guinea (Greece) and I-Love-Windpower Tanzania joined Wind Empowerment and Mercy Corps Ethiopia, in order to implement a rural electrification project in Jijiga, in the Somali region and in Semara in the Afar region. 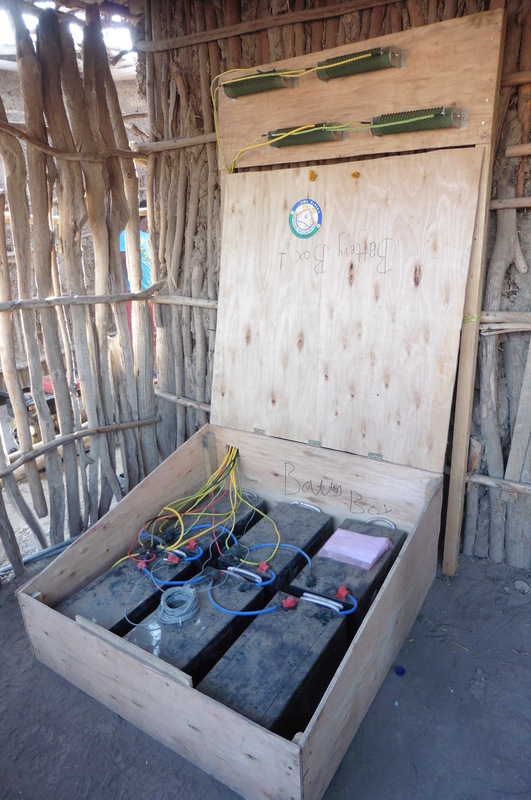 The project’s main goal was to provide productive uses of energy from off-grid renewable energy systems using locally manufactured small wind turbines and solar panels, as part of Mercy Corps’ program PRIME (Pastoralists’ Areas Resilience Improvement through Market Expansion) sponsored by USAID. 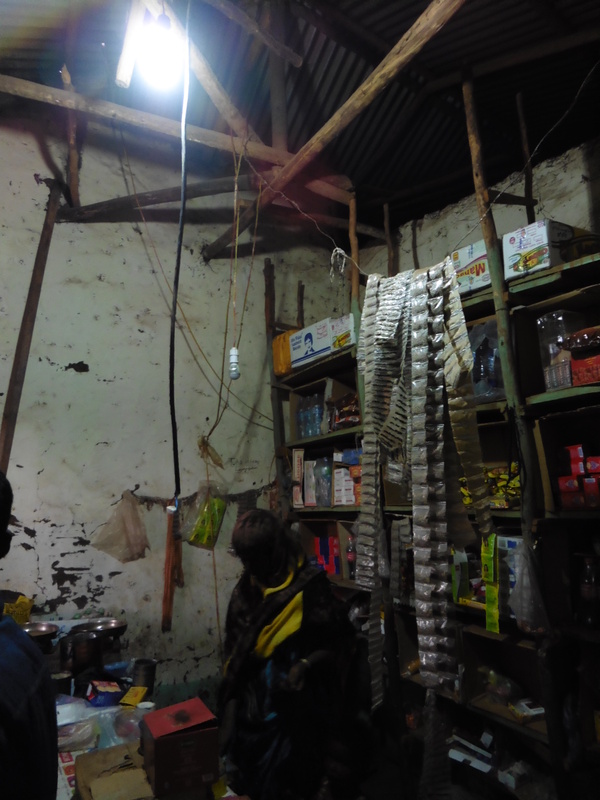 In this context, the local shop of a rural settlement in Handew, 15km away from Jijiga, was electrified using a 3m rotor diameter locally manufactured small wind turbine, installed at 12m hub height, and 300W of solar panels in order to provide electricity for mobile phone charging, lighting and refrigeration of beverages in the shop. 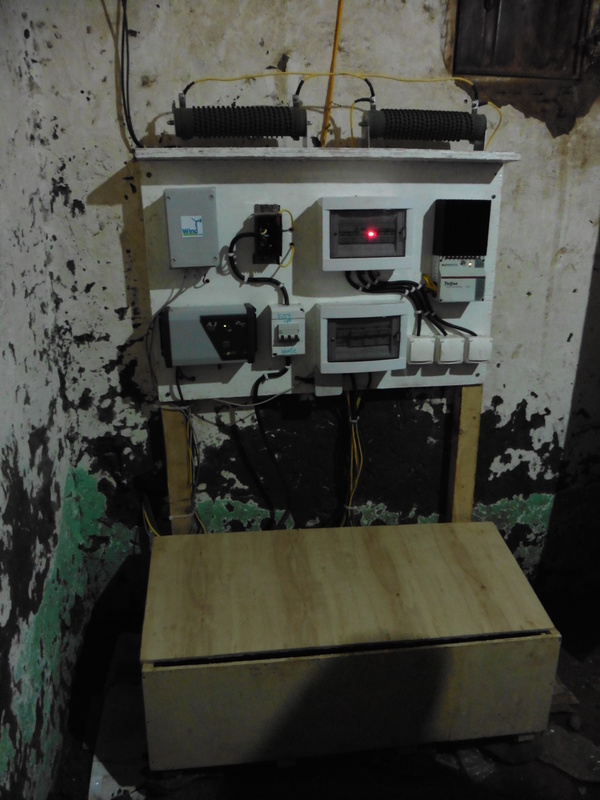 The off-grid electrical system consists of a 500W inverter, a 24V 300Ah battery bank and a diversion load charge controller. A data logger has been installed along with the system in order to measure the wind speed, using an anemometer on the wind turbine tower, and the current provided to the shop loads. The shop’s load profile will be logged and then the power curve of the wind turbine. 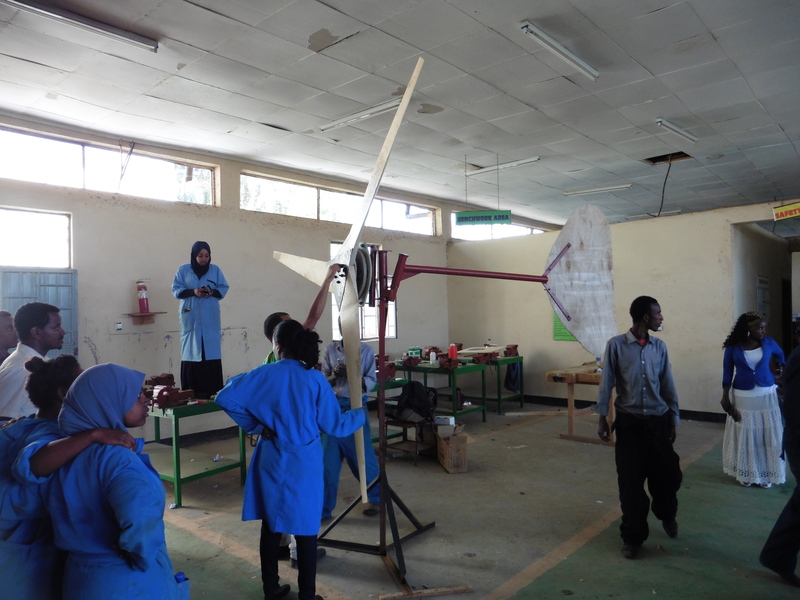 The small wind turbine used in the installation was manufactured locally at the Jijiga Polytechnic College during a 7 day course with 22 participants. Graduates, students and teachers of the college participated in the course which included theoretical lectures on small wind turbine technology and applications and practical workshops on small wind turbine construction. 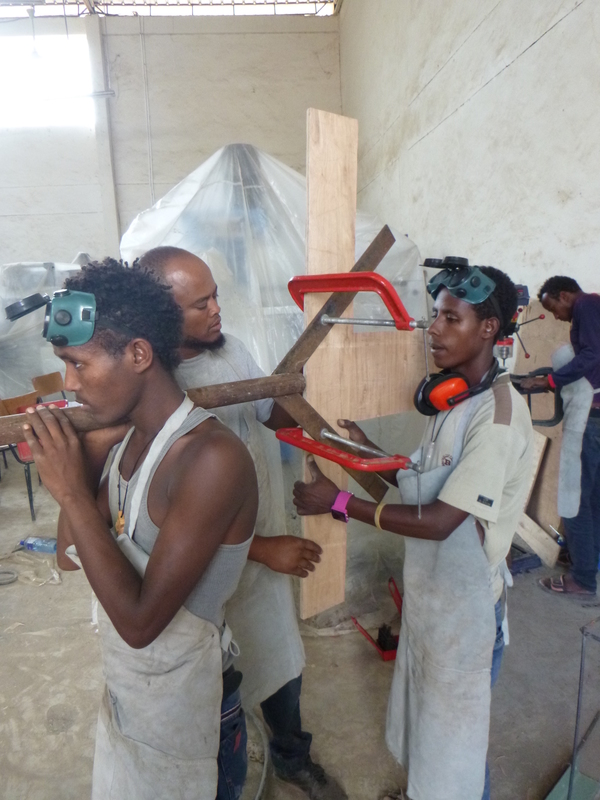 The practical sessions were organised in three working groups. The woodworking group was carving the three blades of the rotor out of wood, the metalworking group was fabricating the steel frame of the generator and the furling tail, and the generator manufacturing group which has wound the coils of the stator and fabricated the magnet rotor disks. 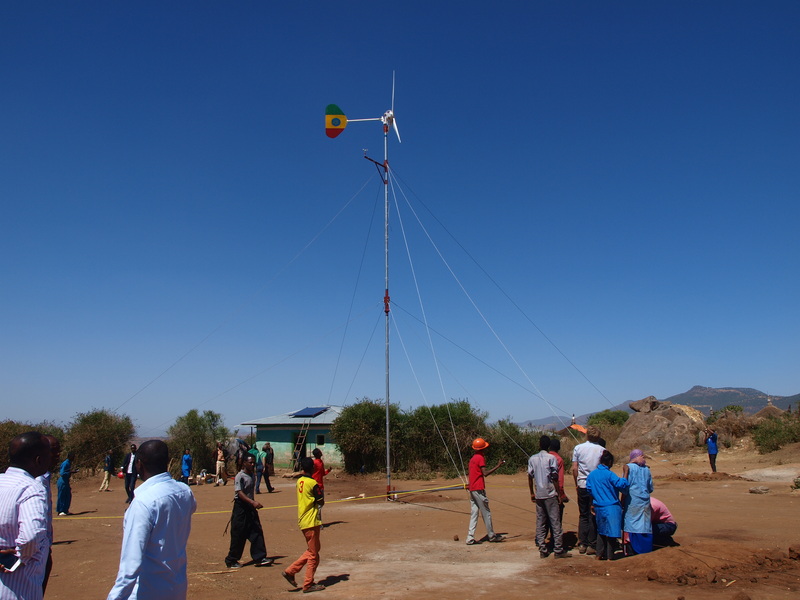 The wind turbine was then installed with the course participants in the rural community of Handew, along with the solar panels and the electrical system. To see more photos of the project click here. 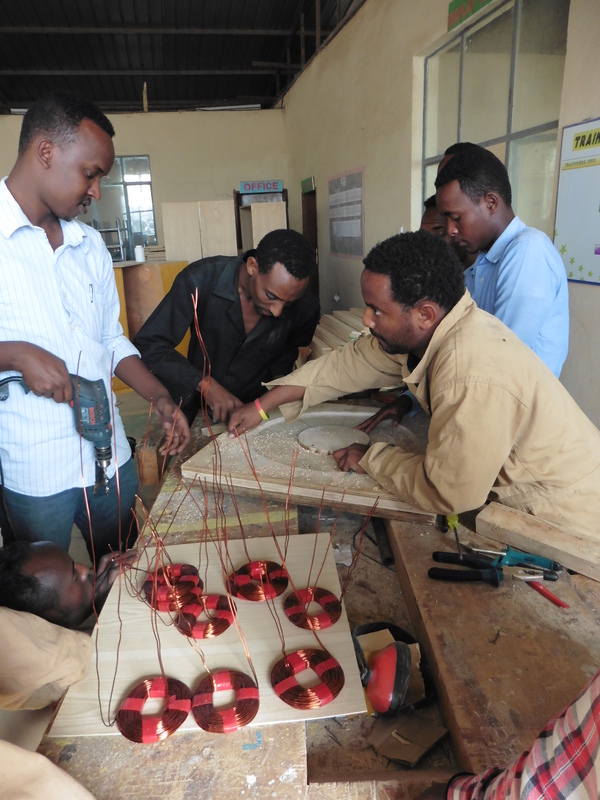 In preparation for the next phase of the project, a wind resource campaign was initiated in the university of Semara in the Afar region, with the installation of an anemometer and a data logger. 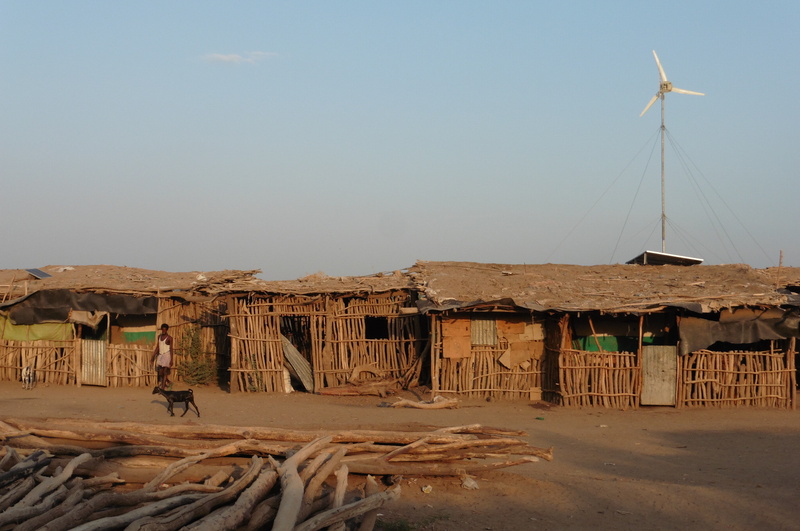 In this context, the local shop of a rural settlement in Sudan Camp, 50km away from Semara, was electrified using a 3.6m rotor diameter locally manufactured small wind turbine, installed at 12m hub height, and 600W of solar panels in order to provide electricity for mobile phone charging, lighting and refrigeration of beverages in the shop. In addition refrigeration of local agricultural produce will be provided to assist local farmers with better preservation possibilities. 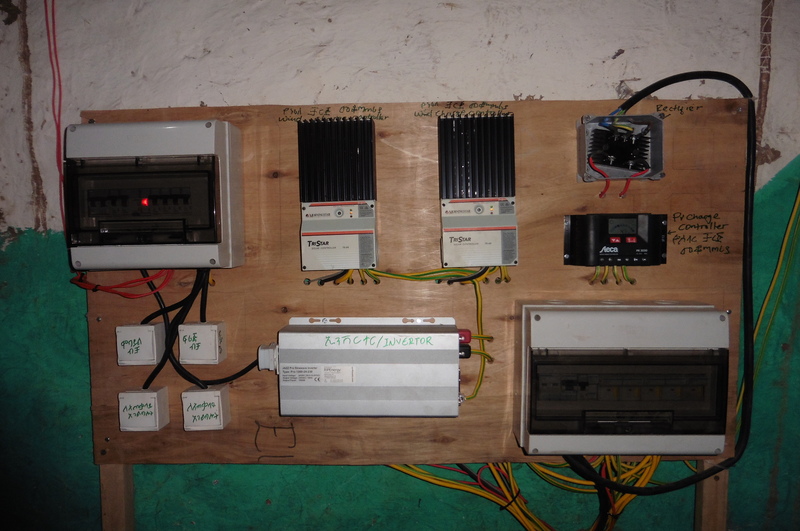 The off-grid electrical system consists of a 1kW inverter, a 24V 750Ah battery bank and two diversion load charge controllers. A data logger will be installed along with the system in order to measure the wind speed, using an anemometer on the wind turbine tower, and the current provided to the shop’s loads. The shop’s load profile will be logged and in later on the power curve of the wind turbine. 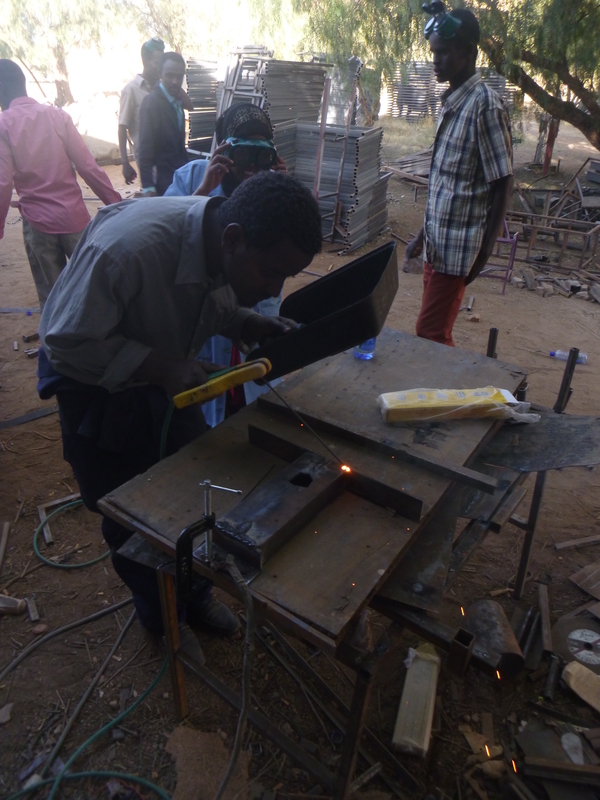 The small wind turbine used in the installation was manufactured locally at the Semara University during a 9 day course with 24 participants. Students and staff of the university participated in the course which included theoretical lectures on small wind turbine technology and applications and practical workshops on small wind turbine construction. 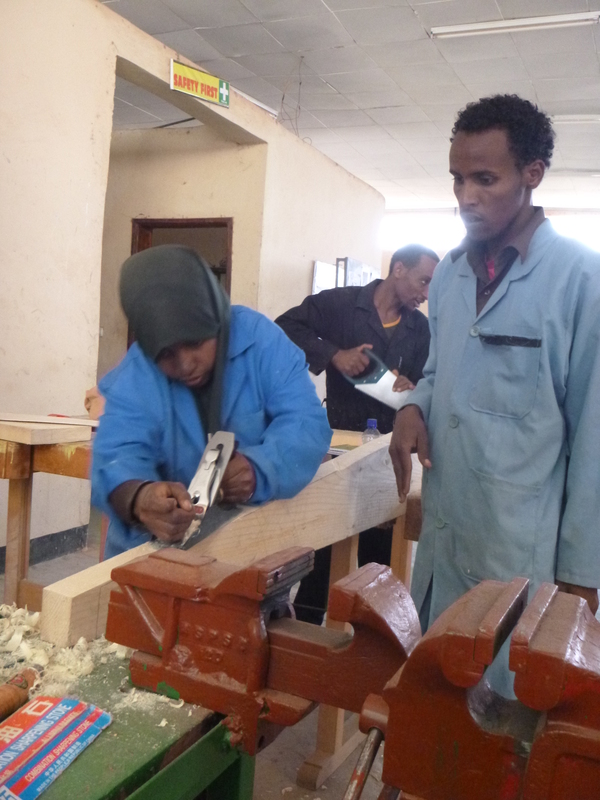 The practical sessions were organised in three working groups. 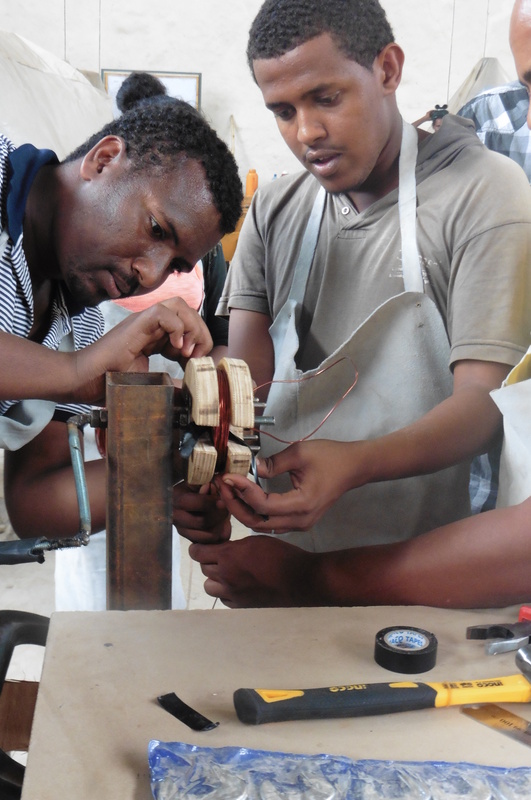 The woodworking group was carving the three blades of the rotor out of wood, the metalworking group was fabricating the steel frame of the generator and the furling tail, and the generator manufacturing group which has wound the coils of the stator and fabricated the magnet rotor disks. 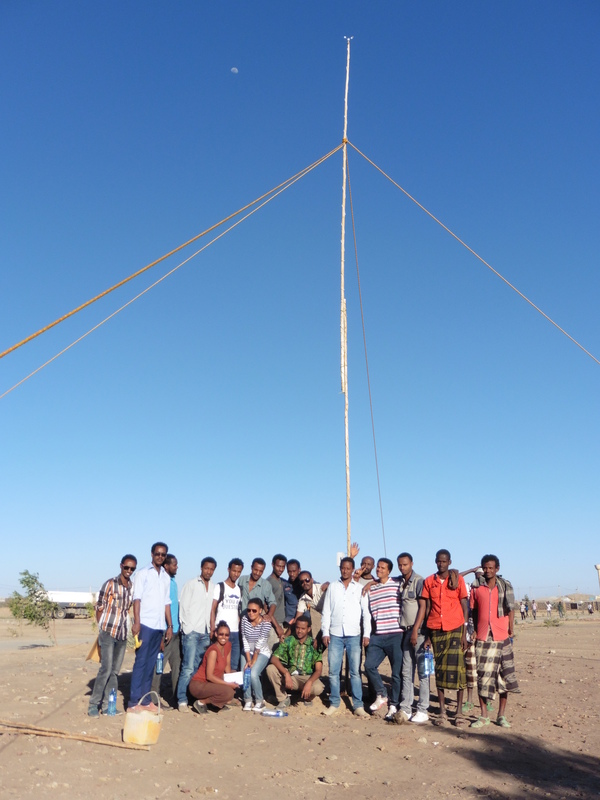 The wind turbine was then installed with the course participants in the rural community of Sudan Camp, along with the solar panels and the electrical system. To see more photos of the project click here. 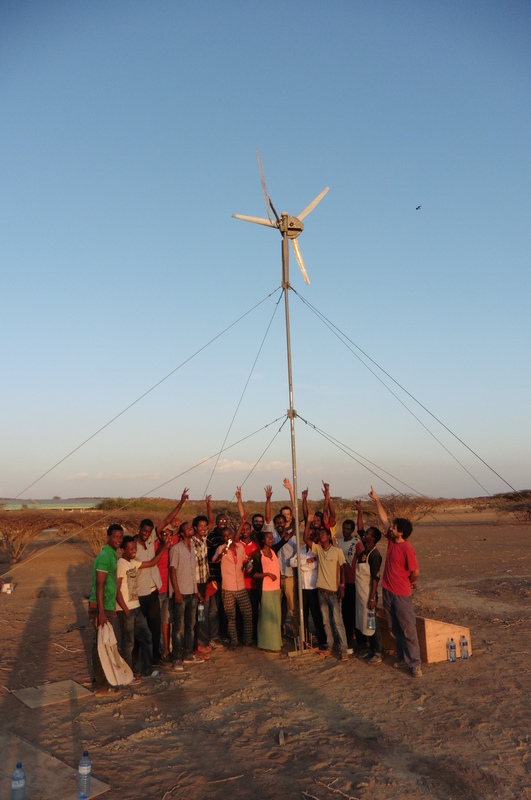 A 1.8m diameter small wind turbine was also constructed during the ten day course with the students and was installed in the university campus along with an electrical system for mobile phone charging. The system consists of a 300W inverter and a 24V 150Ah battery bank and will be used for education purposes in the university. As part of the project, the Wind Empowerment team conducted a market assessment to determine the feasibility of implementing small wind by comparing it with alternatives such as solar and diesel. The methodology used a combination of techno-economic and spatial modeling, to compare SWTs with the other most viable off-grid power generation technologies using the Levelised Cost of Energy (LCoE) as the key metric. This study investigated the scalability of a 1kW SWT designed to meet the demands of a rural commercial centre by comparing four power generation system architectures: Solar PV/Generator , Solar PV/SWT/Generator and SWT/Generator. 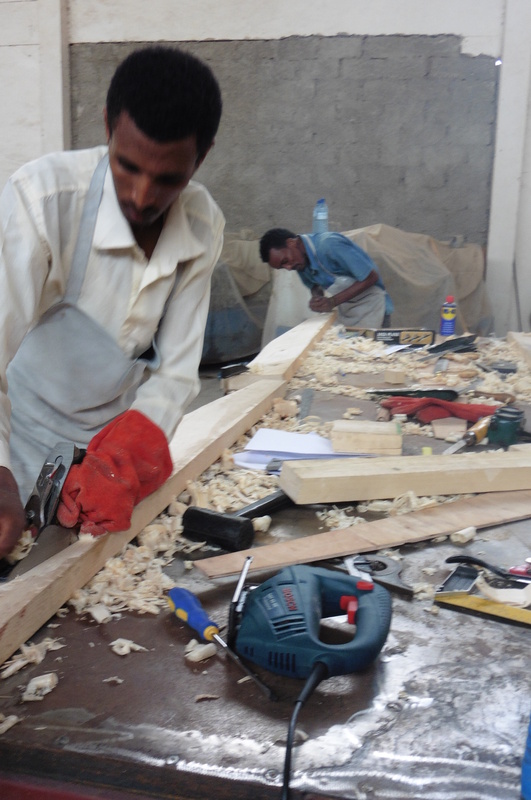 The complete report on the ‘Market Assessment for Locally Manufactured Small Wind Turbines in Ethiopia’ will be published as a separate post on this website soon.